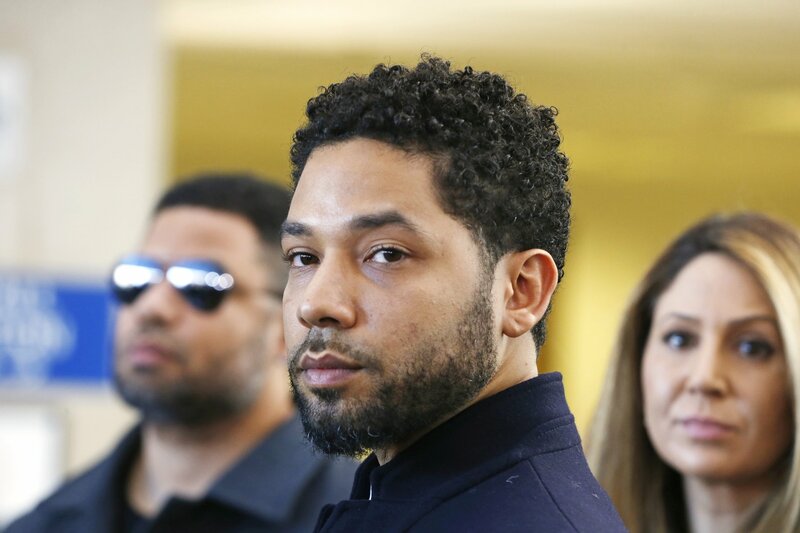 After launching an investigation in a bid to identify the attackers, police uncovered evidence that Smollett's claims were a hoax and indicted him on various charges. Smollett was not required to admit wrongdoing and has continued to contend he's innocent, while prosecutors say they don't believe he is. The City of Chicago has sent a letter to Jussie Smollett demanding that he repay the city for the $130,106 "expended on overtime hours in the investigation" of the alleged attack on him back in January. Foxx has described Harris as mentor, and Harris appeared at a rally with Smollett and his sister, according to CBS Chicago. Calling Chicago a "Trump-Free Zone", Emanuel said that the president created the very environment - "toxic" and "hate-filled" - that allowed Smollett to think he could get away with staging a hate crime. "The case in Chicago illustrates a point that must be discussed in an effort to ensure fairness in our criminal justice system: the rich are treated differently, the politically connected receive favorable treatment, and Lady Justice sometimes peeks under her blindfold to see who stands before her", said the statement from the national group. When ABC's George Stephanopoulos asked Smollett's attorney, Tina Glandian, if she was "going to sue", she replied that "we're weighing our options now", the Washington Examiner reported, adding that Glandian wasn't specific on what parties might be targeted in a lawsuit. Cook County State's Attorney Kim Foxx, who recused herself from the case a week prior to charges being filed because of familiarity with a potential witness, said he was unlikely to have gone to prison even if he had been found guilty. The Empire star claimed he had been jumped by two masked white men, who shouted racist and homophobic slurs at him while he was being beaten up on January 29. (Kamil Krzaczynski/Reuters) Jussie Smollett leaves court after charges against him were dropped by state prosecutors in Chicago, March 26, 2019.